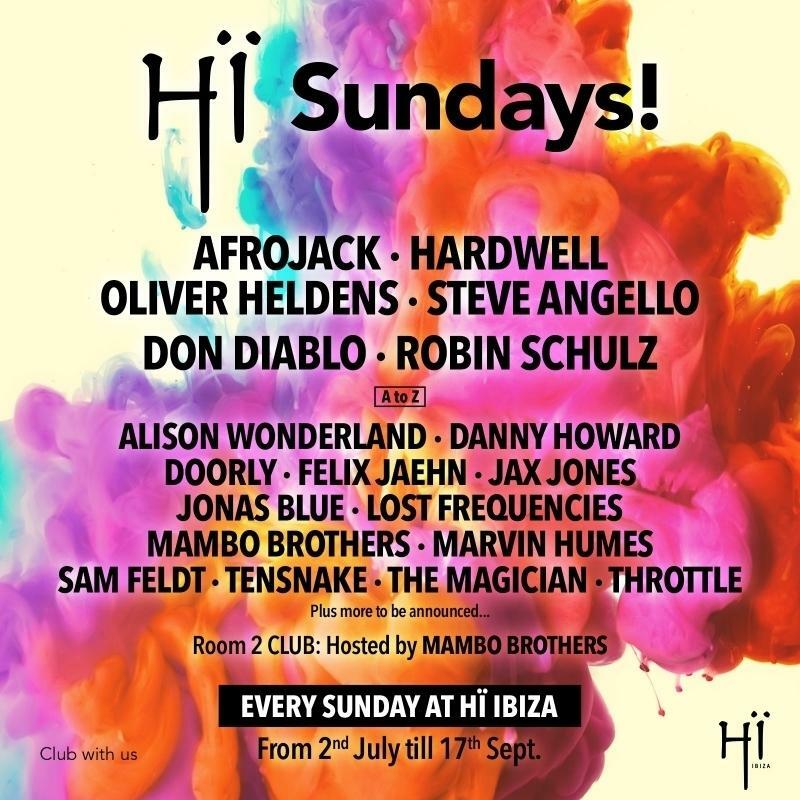 The Mambo Brothers have announced their first weekly Ibiza residency, hosting the club room of Hï Sundays - becoming the first Ibiza-born DJs to head up residency at an island super club. The pair will be championing both underground and crossover sounds with a selection of high profile guests, including Idris Elba, The Magician, Tensnake, Doorly, Danny Howard, Marvin Humes and Kaz James. The Mambo Brothers are already renowned party starters on the island, the duo behind Ibiza's most popular sunset and music hotspot, Café Mambo . They're already globe-traveling DJs, with Tomorrowland, Holy Ship, Elrow, Ushuaïa Ibiza, Pacha and All Gone Pete Tong Miami. Having also played the Space Closing party last year, the Brothers are excited to welcome this new chapter in the island's clubbing landscape. Hí Ibiza , the club formerly known as Space, will unite the highest standards of music and entertainment, bringing world-class music experiences to a club designed with the dancer in mind. This state of the art club will showcase the most exciting names in electronic music throughout the summer, from the biggest stars in the scene to the leading lights of the underground, continuing the island's legacy to the party capital of the world.